Kazuma paddles are available in Fix (one piece) and Vario (adjustable). We propose 2 blades (8"3 and 8"5) and 2 different angles (8° and 4.5°) which will assure comfort, performance and the finest padding sensation. 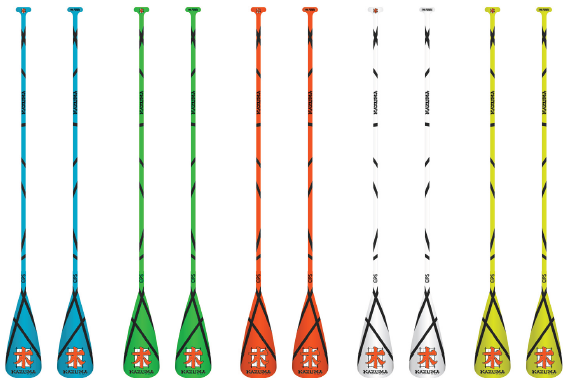 What about some fun on the water, our full colors paddles are available in blue, white, yellow, orange, blue and green.